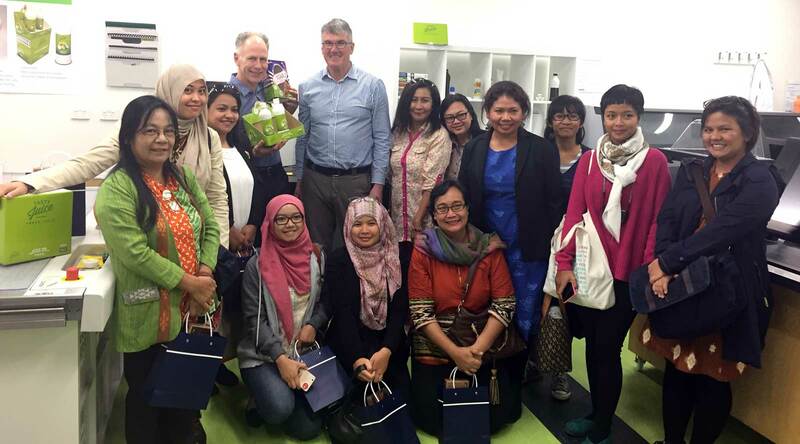 Dr Paul McShane designed and led a four-week program aimed at improving community-based management of Indonesia’s marine and coastal resources. Seafood is very important to Indonesia: culturally and as a source of food and livelihoods. Most of Indonesia’s fisheries are subsistence or artisanal operations. There is an opportunity, through sustainable development, to transform small-scale family-based operations into sustainable enterprises. Twelve women representing the knowledge sector (University of Gadjah mada), NGOs, and the Government (Ministry of Marine Affairs and Fisheries) participated in an Australia Awards Fellowship program together with Global Marine Resource Management, Fishwell Consulting, and Monash University. We bring an interdisciplinary approach extending expertise in business management, entrepreneurship, e-commerce, law, religion, and society. This complements our core expertise in fisheries, aquaculture and integrated coastal zone management. The four week program was successfully completed in November 2016. A follow-up visit to Yogyakarta, Kupang, and Flores in December evaluated community-based activities and examined village-level innovation (e.g. application of solar-powered electricity to households). The visit also provided an opportunity to extend collaborative networks (particularly in the knowledge sector, government (KKP) and NGOs) responsive to sustainable development of Indonesia’s aquatic living resources.